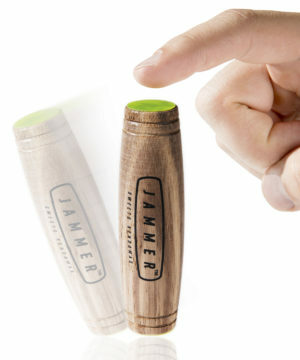 Jammer: Wooden fidget toy used for tricks. 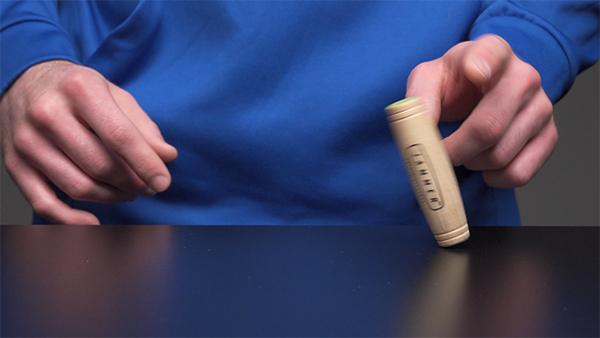 The Jammer turns fidgeting from a mindless pastime into a practiced skill. To start jamming out, stand the toy upright, give it a small tap, and watch it roll end-over-end. You can either “ghost” it by getting it to land upright on its own volition or “freeze” it by placing your finger on one of its padded ends. With just these two variations you can accomplish a variety of tricks: roll the toy between your two hands, see how far away you can get it to land, master your ability to stop on a dime, and more. 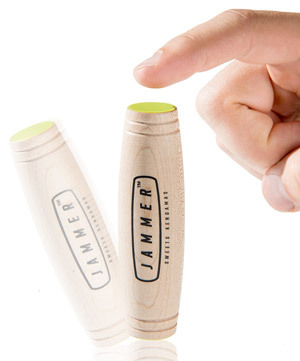 Invent your own tricks with the Jammer to impress your friends while killing time. Note: Remove the plastic seal on each end before using. Much like a deck of cards, a skateboard, or putting sunglasses on a dog, the Jammer is simple yet incredibly entertaining. The wooden toy’s symmetrically rounded body allows it to roll end-over-end with a light push. 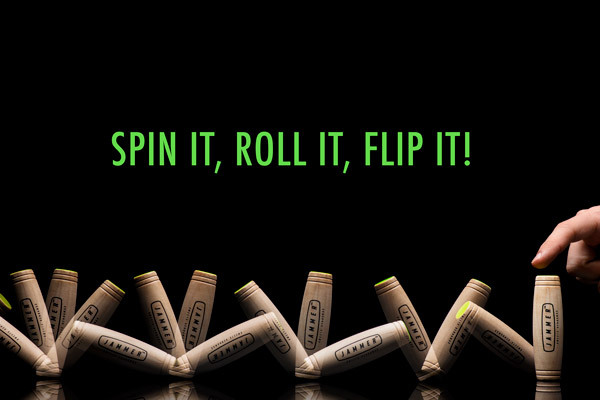 After some practice, you’ll be able to control that roll to do fun tricks. It makes for creative playtime and a delightful distraction. Plus the small toy can slip in your pocket so you can take your show on the road. Slow your roll on command. Like with other fidget toys, having something to distract your fingers frees your brain to focus on the task at hand. While your hands work on Jammer tricks, your mind can work on work! And since the toy can absorb your attention while you practice tricks, it also works to eat up downtime in your day. Gets you closer to five o’clock. 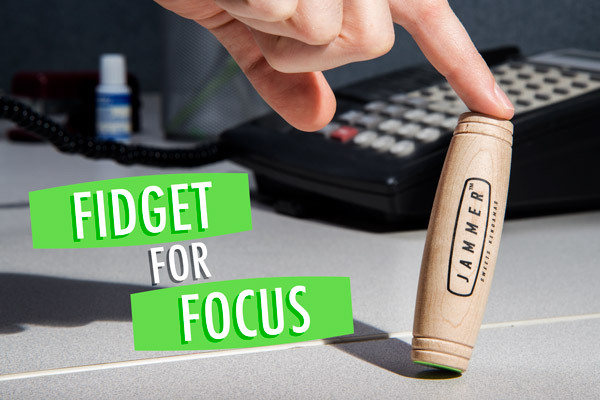 The Jammer is a toy that fits unobtrusively on your desk with its clean, simple design. This attractive toy is made with maple wood for a quality toy with a quality look. Start practicing your Jammer moves now and be ready to impress your friends with your ghosting, freezes, and more. Question: Can I use this during class? Answer: While you’ll want to use your Jammer as much as possible, the clacking sound it makes on hard surfaces means you may want to avoid quiet areas.